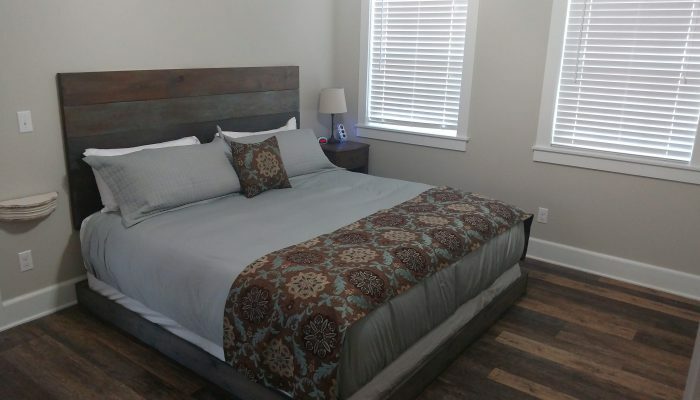 The Lily Cottage is a newly built, pet friendly, handicapped accessible cottage right on the Wildflower property. This cottage is located on the back side away from the road. Although the porch is a bit smaller, it is a bit quieter. Guest have a designated parking right next to the wheelchair ramp. The King Size Bed features soft, silky sheets and plush pillows. 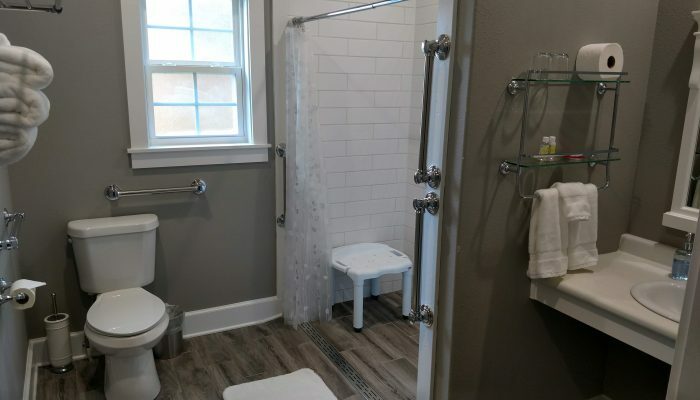 The spacious bathroom boasts a large walk-in shower with optional hand-held shower head, easy seat, and chair height toilet with plenty of support bars. 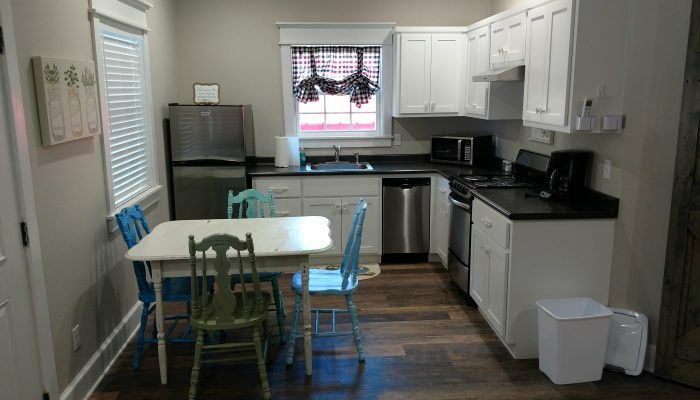 The full kitchen is equipped with a full-sized refrigerator, dishwasher, coffee maker, and microwave plus plenty of dishes, pots and pans, and utensils for cooking and dining. The Smart television has local cable or you can watch your favorite streaming service. 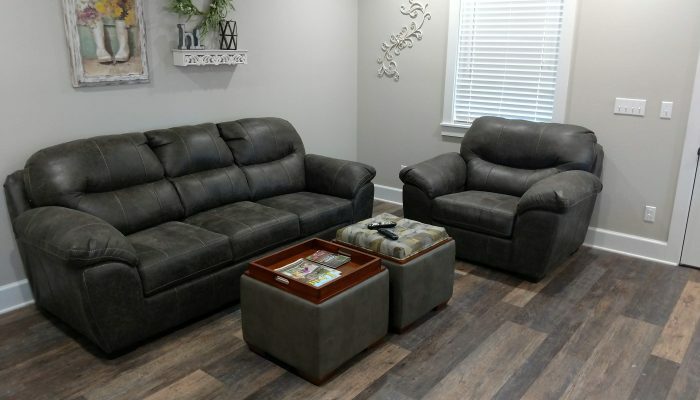 The living room has a super-comfortable couch and chair with ottomans. The couch is also a Queen size hide-a-bed. Free Broadband Wi-Fi is also always available. Allow your dog to run in the fenced in back yard accessed through the shared utility room. A washer and drier is also available for guest use. Breakfast is not included with a cottage reservation. $129 per night. 2 Night minimum during regular season Mar to Oct.
$45 one time pet cleaning fee per cottage reservation.